Updated 9/20/2017 And here the magical being spreads his arms and flies gracefully off to our left, as the others turn to watch, mouths open in shock. 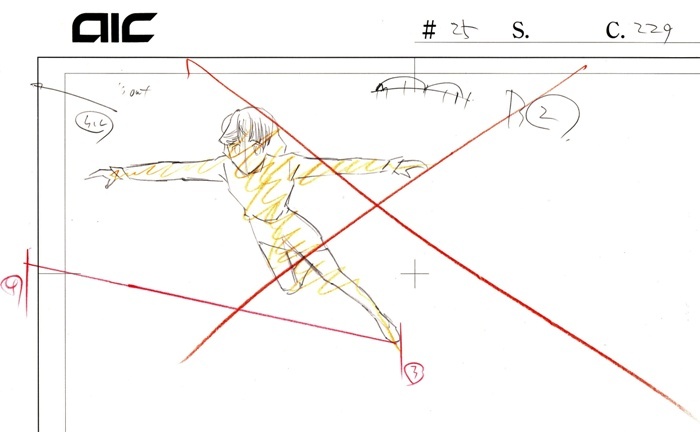 (To be sure, this is the first time in the series that we've actually seen him fly.) The C4 and C5 images (not imaged) show his body and legs exiting the frame. Again I’ve featured the layout correction, which is rough but effective, particularly in conveying Amitav’s irritation and the others’ distress at his reaction. Note that at this stage Daimon and the fourth girl are still present. 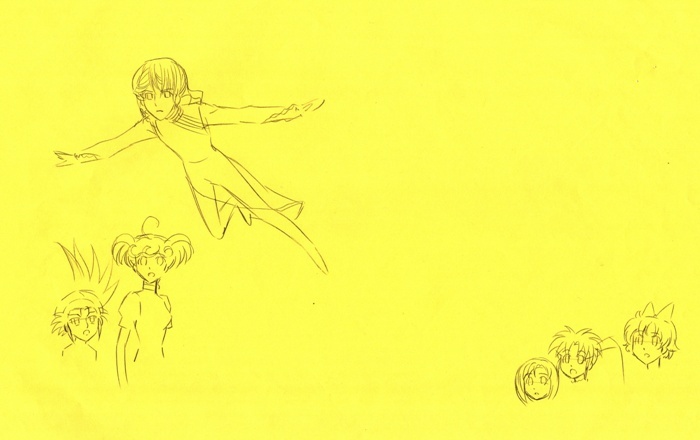 Take a look at the first layout, which has been canceled with an emphatic red “X” -- evidently the open-eyed expression suggested Disney's Peter Pan rather than the complex, dark character the animators were trying to individualize. The partial rough (second thumb) works up Amitav's grouchy expression even more.